Million years ago, a geological change caused a series of volcanoes raise the bottom of the Indian Ocean, causing coral reefs to expand into the sea and turned into tiny islands, spectacular Maldives. 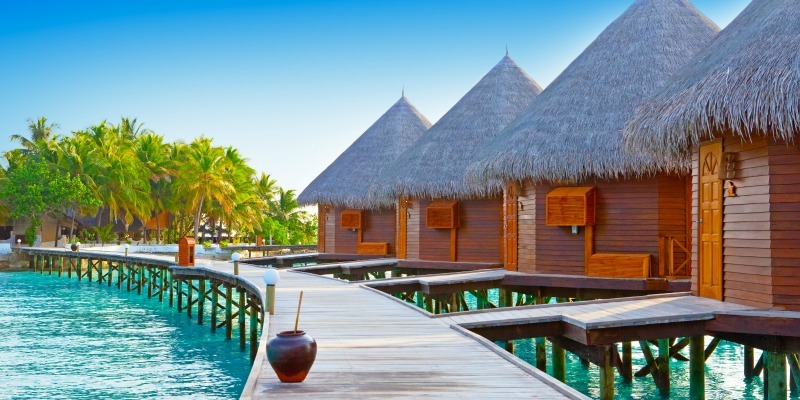 Located in the heart of the Indian Ocean southwest of India and Sri Lanka, Maldives is the perfect place to enjoy a tropical paradise where nature fits in perfectly with its resorts, which will make your stay an unforgettable holiday destination. It is also one of the top destinations for scuba divers, who are attracted by the beauty of its coral reefs and rich marine life. Located in the Indian Ocean , southwest of Sri Lanka and southern India. 1,190 coral islands in 26 atolls. 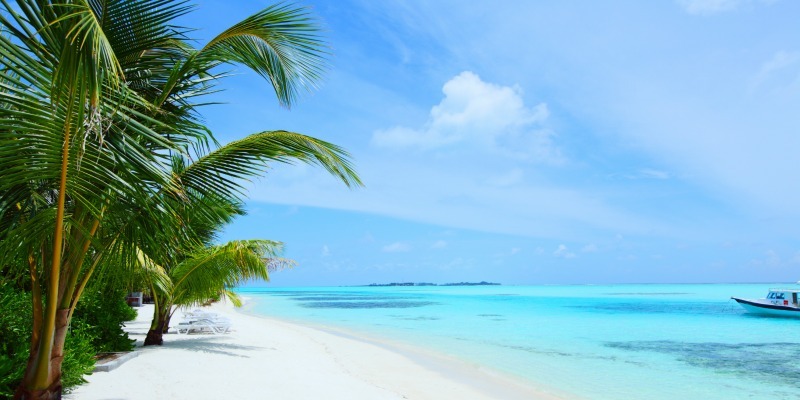 Approximately 90 of the islands are tropical resorts -hotels with beaches of fine white sand , swaying palm trees and surrounded by coral reef which form beautiful turquoise lagoons . A wonderful group of coral islands lost in Indian Ocean southwest of Sri Lanka form the archipelago of the Maldives. They are a sparsely populated state , and of the 2,000 islands that make up the archipelago , 900 of them are deserted. Maldives allows us to dive into the water and discover a world of coral reefs populated by the most beautiful and exotic fish in the Indian Ocean. They consist of a chain of 26 coral atolls located southwest of Sri Lanka and occupy 754 km long and 118 km wide. 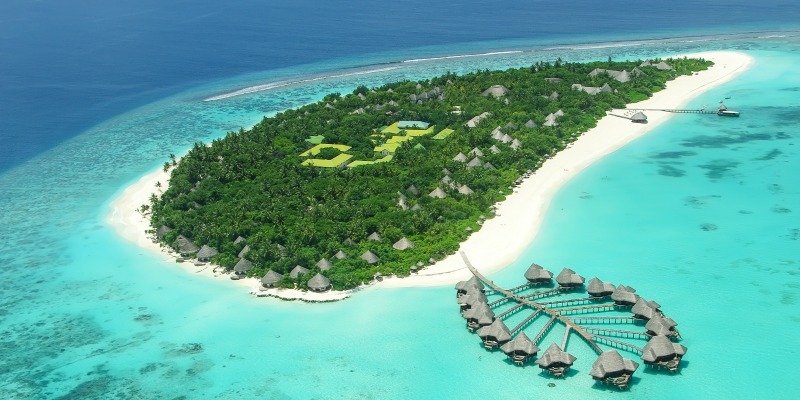 The resorts in the Maldives archipelago attract visitors with the promise of offering ” the last paradise on Earth .” Those who understand by tropical islands paradise where palm trees , white sand beaches and turquoise lagoons showy swing will not be disappointed when visiting these islands. Also, it is one of the top destinations for scuba divers , who are attracted by the beauty of its coral reefs and rich marine life. Moderate , warm and humid tropical with average temperatures of 29-32 ° C.
The winter monsoon or dry monsoon from November to April , the less chance of rain and sunny days . Moves from the northwest with an average temperature of 26 and 29 º . The wet monsoon or summer monsoon , from May to October is moved from the southwest. Usually abundant rainfall of short duration and very warm. Water temperature between 26 and 29 º . Dawns early, around 6 hr and sunset around 18hr . Daylight hours are shortened during the summer. 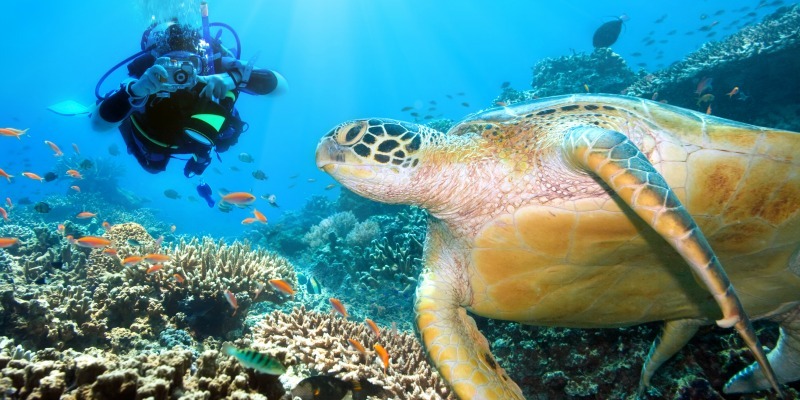 The diving stands as the main attraction of the Maldives ; is estimated that 60 % of visitors make at least a dive. There are hundreds of recognized dive sites , many of which are accessible from the resorts ( others can be reached by boat or by diving safari ) . Along with a multitude of fish and corals , you can feel the thrill of swimming with turtles , moray eels, mantas , sharks and whales , and explore some of the remains of more attainable shipwrecks. Almost all tourist establishments have a diving school to support their clients busy , but visitors can also wear goggles and flippers and swim a little way from the beach to enjoy the delights of the underwater world of the Maldives. Crystal clear water, white sand, deserted idyllic islands, fabulous coral reefs, huge gaps and infinite shades of blue and turquoise. 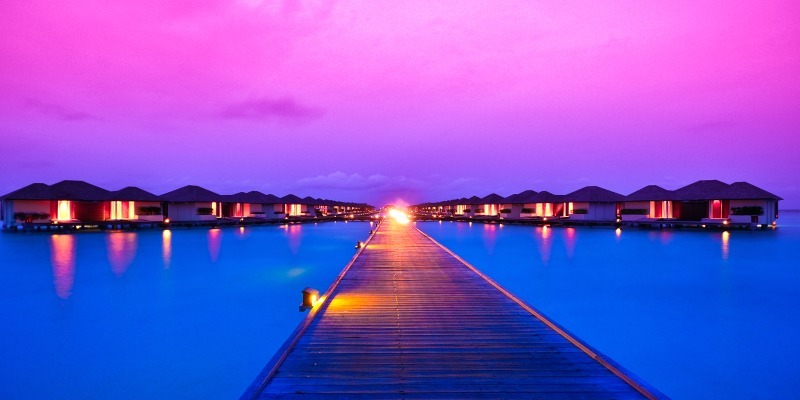 Embark, dive, relax and enjoy the Maldives, a true natural paradise.